For this hair to be so eye-catching, it has to be fairly short to begin with. That way the lines cut into it really stand out. 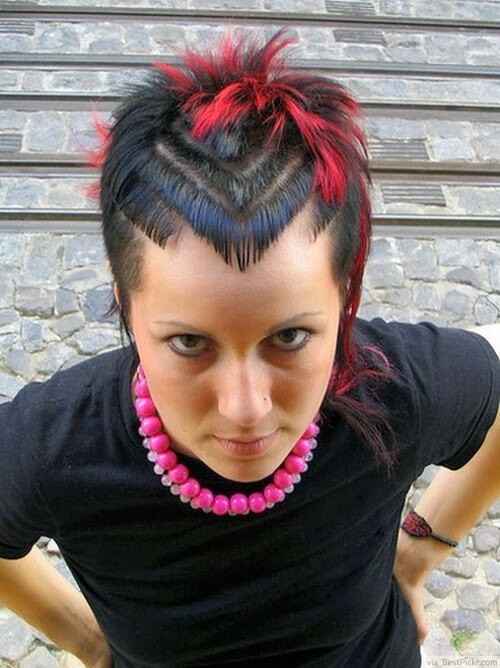 This is a super bold and unapologetic hairstyle for those punk chicks out there. Remember that cutting your hair like this requires a lot of upkeep to maintain visible straight lines. Add chunks of color for an even more outrageous look.